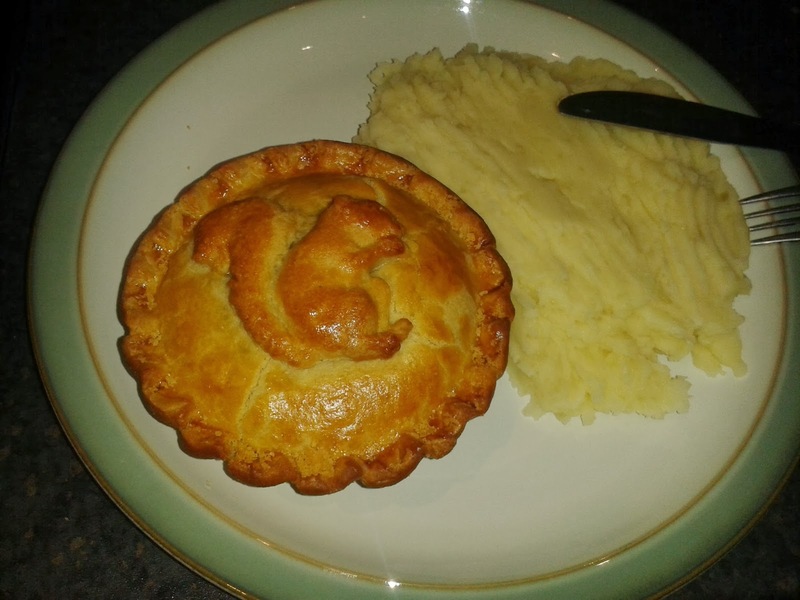 Pierate - Pie Reviews: Squirrel Pie: Will I go nuts for a Nice Wild Squirrel Pie? Squirrel Pie: Will I go nuts for a Nice Wild Squirrel Pie? Some might argue you’ve got to be a bit nuts to call your company “Nice Pie” – for it is surely a potential rod for your own back! Are the pies really that nice? Because if not, you’re surely going to get some stick for having a name like “Nice Pie”. However rest assured; no need to panic - I can confirm these pies are very nice indeed! So onto the wild squirrel in red wine gravy pie. I’m sure the first thing you’re wondering is “Squirrel – really? !” Yes – really! The grey squirrels are shot near to the farm that Nice Pie operates from and they pack plenty of meat into these pies, which makes me think they must take down a large number of these critters to make all these pies! After all, there can’t be much meat on each one. And sure, you may think I’m a nutcase for trying one, but on board the Pierate Ship we are always looking for new pies to rate and new flavours to try. On 13th February 2015 the Nice Pie makers were featured on Jamie Oliver and Jimmy Doherty's Friday Night Feast on Channel 4, talking about their squirrel pies! Check out a clip on the Channel 4 website. So what did the squirrel pie taste like? Well, before I dig my claws in, I think you’d have to agree with me that this is one of the most beautiful pie decorations I’ve ever seen. It’s amazing that with just a little extra pastry a nice, but rather dull, pie lid can be transformed into a beautiful work of art! The pie arrived in top condition, and while a little crumbly around the edges, this pie gets a near perfect score for condition. But what about the meat? Well, as you’d probably expect from an animal like a Squirrel this meat tastes quite gamey. It was quite light and not at all chewy, but was in quite small pieces within the pie, as you would expect for meat from such a small animal. The meat content was therefore consistently spread throughout the pie. The capacity was very strong, with only a small amount of potato and carrot to bulk out the pie filling. It was pretty much full capacity and at no point was I left feeling “there’s not much meat in this!” In fact, almost the exact opposite! I was quite surprised at how much Squirrel meat was in this pie, considering this pie was just £3.50 to buy! Very high scoring on cheapness for an exotic pie. The main thing for me that stops this pie from quite reaching pie-fection is that the pastry was a little bit dry and crumbly. I certainly don’t think it is bad pastry, by any means. It held together well and was nice and golden. But having sampled so many pies, it was a bit too dry for me. This certainly didn’t affect the pie content, which was actually very moist and succulent despite there not being much noticeable gravy in the pie. It just resulted in a noticeable contrast between the moist, succulent content and crisp, drier pastry. Let me clarify that this should not in any way stop you buying the pie, for the pastry was good, held together well and when eaten with the lovely moist content was a very nice meal, but when you are looking at the very fine margins between a recommended and highly recommended pie on www.pierate.co.uk, this is the sort of constructive feedback we look to give. I am sure that Nice Pie are looking to improve their pies even more and with such a great range of exotic pies on the menu we will definitely be rating more! Finally, the red wine gravy also added an interesting twist to proceedings, which made the meat moist and succulent. 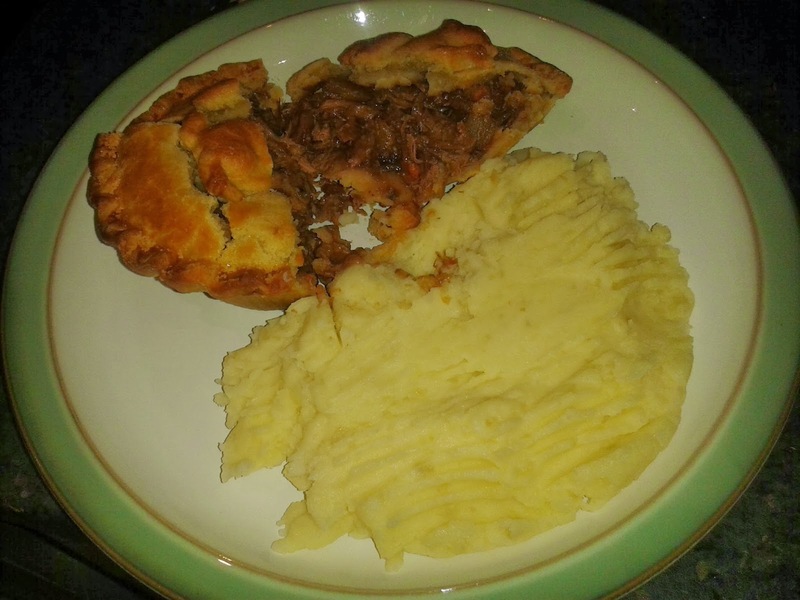 I would have personally preferred a bit more gravy in the pie, which would have possibly counter balanced the outer pastry too, but it was certainly very flavoursome! It certainly won’t take much to shoot this Squirrel pie to the top of the tree, with the succulent meat and packed content I could go nuts for! And the pastry was good too, just a tad dry so holding the score back a little but still resulting in this being a great pie – not a drey-dful one! In a nutshell, this is a Pierate recommended pie!